Companies made a last-minute rush Thursday to comply with new European Union data protection laws that Brussels says will protect consumers from being like "people naked in an aquarium". The EU's so-called General Data Protection Regulation takes effect on Friday and has been blamed for a flood of spam emails and messages as firms seek the explicit consent of users to contact them. Britain's data protection watchdog, the Information Commissioner's Office (ICO), said that its site had experienced "a few interruptions" as the deadline loomed, but said that "everything is working now"
Brussels however insists that the laws will become a global benchmark for the protection of people's online information, particularly in the wake of the Facebook data harvesting scandal. "The new rules will put the Europeans back in control of their data," said EU Justice Commissioner Vera Jourova—ironically echoing the slogan of "Take Back Control" that Britain's pro-Brexit supporters have used. People will be able to block the processing of their data for commercial reasons and even have data deleted under the "right to be forgotten." 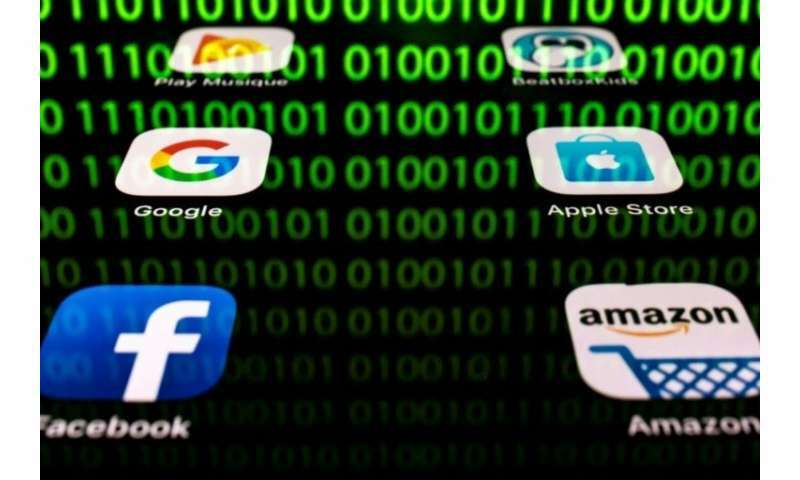 Big platforms like Facebook, WhatsApp and Twitter seem well prepared for the new laws, while smaller businesess have voiced concern. But EU officials say they are initially focusing on the big firms whose business models use a goldmine of personal information for advertisers, offering smaller firms more time to adapt. Brussels has meanwhile expressed impatience with the eight of the 28 EU countries that say they will not have updated their laws by Friday. Jourova said the new rules are setting "a global standard of privacy."